In the beginning, incontinence might not be a matter of having to use briefs or underpads, but simply having closer access to a toilet. Getting out of a chair or bed and all the way to a bathroom across the room or down the hall can make it hard on your loved one who might have mobility limitations in addition to incontinence issues like an uncontrolled urgency to urinate. Bedside commodes are simply lightweight and portable freestanding toilets (usually made with plastic and aluminum). As a caregiver, you can quickly put a portable commode beside the bed or recliner so your loved one has quick and easy access to using the bathroom without soiling themselves. When it comes to the point where you loved one is better off wearing adult diapers (briefs), know there are a variety of different types of briefs and adult diapers, and the best choice for your loved one may depend on their mobility, size, body tone, etc. Also called disposable underwear or disposable undergarments, briefs which slide up over the legs like underwear are often more conforming to the body. 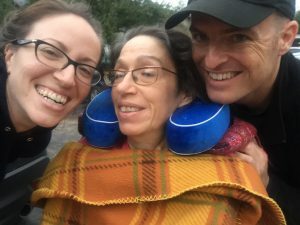 Easier for someone to pull up themselves if possible, these types of briefs might not be the easiest option for a caregiver who is changing a loved one in bed. Adult diapers with open sides that tape shut (think more like a baby’s diaper) are often easier to change for a loved one who is bed-limited, however, they might not do as great a job molding to the body and keeping leaks in. The truly dirty part of incontinence isn’t always the mess you have to clean up, but rather the bacteria that like to stick around and wreak havoc. UTI’s are common with people who use briefs and catheters for incontinence, namely because a bowel movement will always have bacteria in it and bacteria essentially thrives in warm moist places like soiled briefs and clothes. Properly cleaning your loved one is critical to keeping them infection-free. UTIs can be extremely fast-moving and dangerous, starting in the urethra, moving up the ureters, hanging out in the bladder and then working their way up to the kidneys. Mom ended up in the hospital once, septic from a UTI that had spread to her kidneys. In addition to prioritizing cleanliness, recognize signs of a UTI which commonly include fever, pain when urinating, a painful or tender abdomen, foul or odd smelling urine, cloudy urine, and more than normal urination. There are a handful of options when it comes to managing your loved one’s incontinence and saving their sheets from constantly being soiled. The truth is that accidents happen, and even the best briefs can leak sometimes, especially if your loved one is repositioned to one side or the other to avoid pressure sores. I recommend investing in a mattress protecter which actually goes directly on the mattress under the fitted sheet and protects the mattress itself from getting stained or soiled, even if all the sheets do. As for what might go under your loved one’s bottom, there are reusable underpads or towels you can use and wash again and again. We opt to buy disposable underpads in bulk from Costco. “Doggy pee pads” which are used for potty training puppies are actually the same exact product as disposable adult incontinence pads so we buy them at a much cheaper cost! One of the major risk factors for developing a bedsore, in addition to spending prolonged hours lying in bed or sitting in a recliner, is incontinence. Why exactly? In addition to pressure on internal tissues from bones in the body cutting of blood flow, bedsores develop when skin breakdown occurs. A common bedsore location is the tailbone, in part because the moisture and contaminants from urine and feces can more quickly breakdown skin and infect it. Barrier creams which are applied during diaper changes can help keep moisture and contaminants away from delicate skin that is prone to pressure sores. Managing a loved one’s incontinence without completely losing your mind will largely come down to sticking with a routine or schedule for changing diapers or toileting around the same time each day. If you can get your loved one to take medicine and eat meals and consume liquids around the same time windows each day, they will more easily stay on track for going to the bathroom on schedule or having their diaper changed without too much hassle. For example, my husband and I change Mom’s diaper first thing in the morning around 7am and then again around 9am when she has her medicine, around mid-morning and then at 1pm when she eats lunch, then heading into the evening again for she eats dinner. We’ll change her one more time when she goes down to sleep and then possibly later that night before we go to sleep. Sticking to this schedule day in and out helps us both remember to do it, but also helps Mom remember what’s coming and kinda where we are at in our day. 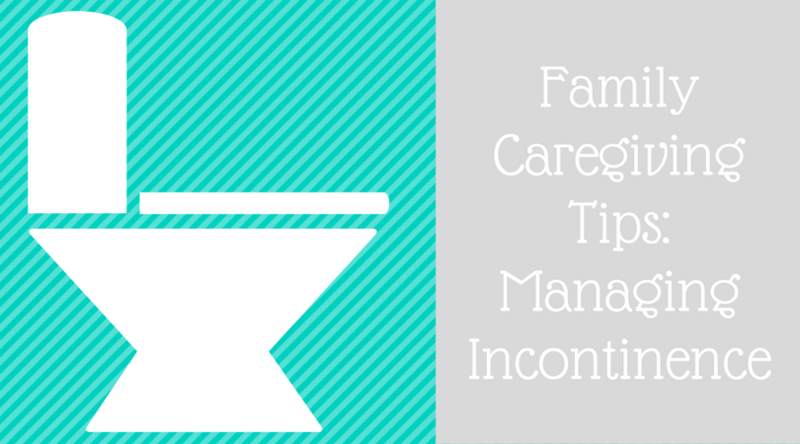 I feel like there are so many more tips and best practices to save caregivers (and their loved ones) the loads of stress and frustrations incontinence can bring, but those are a good start for now!